Discussion in 'Server Information' started by JWTech, Nov 20, 2017. Keep having disappearing items, minimal framerate, or a delay when breaking blocks? You might be the cause! This thread will outline some of the causes of lag or other issues, both client and server-related, as well as how to fix them. First example, imagine you've got an ME storage system. Now imagine that you try to add items to the system, but suddenly they disappear as soon as you drop them in. Chances are, you've probably gone overboard with some part of your system, and might have even caused slight corruption in your chunk data. We recommend never using more than 8 full ME drives at any given time. Not enough to store your stuff? 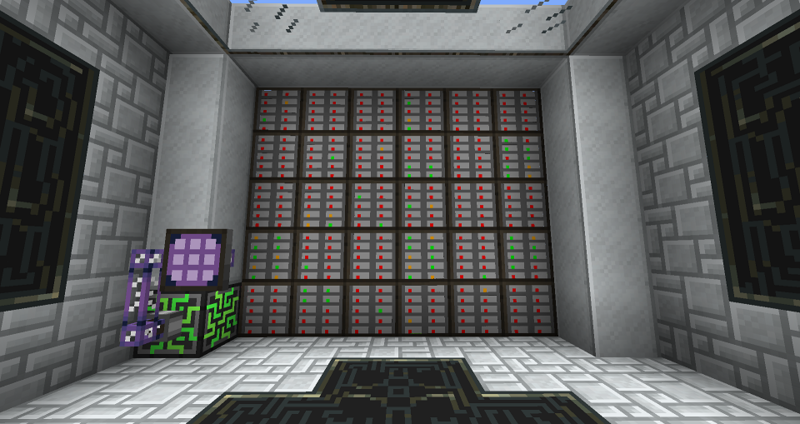 How about using something like a DSU or QSU (quantum storage unit) to store items you have in high quantity? Or using a set of upgraded drawers. These can be connected to your ME system with storage/external buses, and as long as you don't go crazy with the alternatives, you'll notice much less issues. Most of these drives are filled up due to items with large quantities. Those larger-quantity items can easily be put into different storage units that are meant for handling large amounts of single items. 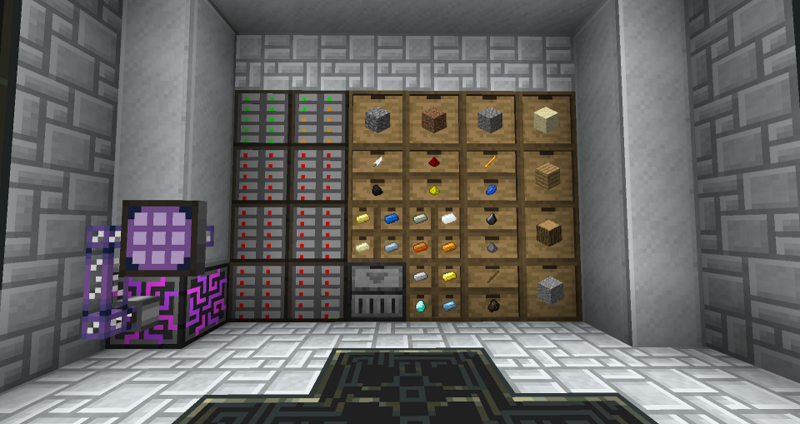 In this image, most of the larger-quantity items were moved to upgraded storage drawers. This freed up an entire row of drives at the top, and the drawers can still hold a lot more. The ME system now has more room, with less space taken up, with less lag and no bugs or issues caused by things being overloaded, while still holding the exact same amount of items. Also, in this image we connected our storage drawers to a drawer controller, and then connected the ME system to the drawer controller with a storage bus, in order to cut back on the lag that would have been caused by connecting storage buses to each individual drawer. If you've gone through your system, already made it as efficient as you can, and are still having issues, try sending any excess items (that you don't need) to a trash bin! We'll be continually adding more to this PSA post, so check back every now and then for updates. If there's something you think should go here, let us know!